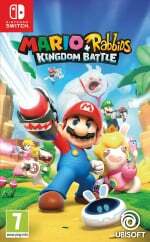 In October, Ubisoft's Nintendo Switch title Mario + Rabbids Kingdom Battle was nominated for 'best game' at the British Academy Children's Awards alongside three PlayStation titles including Everybody's Golf, Frantics and Knack 2. As we previously noted, plenty of love went into this title during development, as the game's director Davide Soliani has been a lifelong fan of Nintendo. You might even recall how he teared up at E3 2017 when Shigeru Miyamoto came out on stage to present the tactical turn-based RPG to the world. Did you expect Mario + Rabbids to win this award? Have you played this game yourself yet? Tell us below. Congrats! Great game, great fun! I do need to pick this up someday. It's been sitting on my wishlist since release. But lately I haven't had as much money to burn as I wish I had. Definitely one of the best games on Switch, deserves to be considered a masterpiece of fun game design. It has no right to be as good as it is! Knack 2 was a contender? They must have improved it a lot over the first game, because I remember a lot of people saying the first game was a serious let-down. Mario+Rabbids was excellent! But it's one weakness in my opinion is a distinct lack of replayablility. I finished it and have felt no real pull to play it again. @ShadJV I feel like they could have added more side modes of some sort. Some kind of optional procedural generated mode or something. @ShadJV I think it would have helped if the game had actual level progression rather than having your attack power be restricted to just your weapons. You don't really feel a need to replay any previous levels for any other reason than to just 100% the game. Also, more game modes would have helped. Though i'll say the story DLC was enough to pull me back in. @Heavyarms55 Knack 2 being an improvement over Knack 1 isn't saying much. Knack 2 is an ok game but god is it bland. I think kids would love it, especially the crowd that tends to buy all the Lego games (Including the crappy movie Tie-in ones) but thats about it. And fun fact when Knack first released Sony ended up screwing up and in 1 country (I think it was Australia) the game was released for free, so thousands of people just made out of country accounts and got the game for free before they fixed it. Which is probably what hurt its sales worldwide lol. We all know the real winner is Knack 2 BABY!! My favourite game of 2017. @zool Of course! 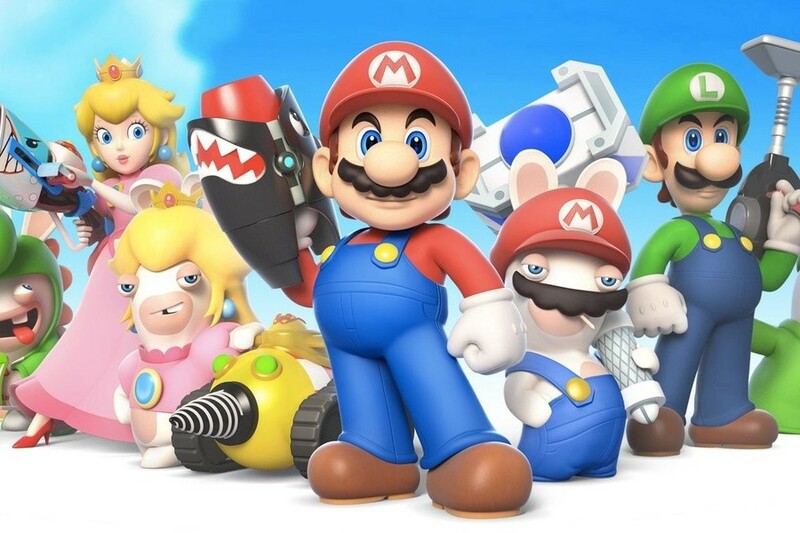 Who wouldn't want Mario shooting Rabbids? Love that game. Very crisp graphics and excellent art direction. One of the best game in the library. 2017 was really a fantastic year for the Switch! Fun game; not my type but I enjoyed the several hours I spent with it. Seemed like there was a lot of effort put into it, so congrats to the devs! @Heavyarms55 Maybe. I wouldn’t have gone back to that since it would’ve just been endless, wouldn’t feel like I had a goal anymore. I play strategy games with a goal. @patbacknitro18 perhaps, but I would’ve lost interest if I had to grind on maps. Like, I already figured out how to beat the maps, so I wouldn’t wanna sit through a 5-15 minute battle again just for more experience. I did go back for the story DLC, but I didn’t touch the other stuff. I actually liked the story DLC more, having access to all 8 characters meant I tended to only use a couple teams and several characters got little use from me; being forced to use a specific setup meant I couldn’t find ways to cheese it and didn’t feel like I was missing out on any of the characters. I didn't expect this game to win an award, but more because I thought it came out last year than it not deserving it. This is one of my favorite games I've ever played, which is really amazing considering I typically despise turn-based games. @SmaggTheSmug The gold edition is $31.99 until Wednesday on the American eshop. It's the kind of sale I had been waiting for.